Yes your eyes aren't playing tricks on you. Apple is holding an event that is not about a mobile device! Weird huh? Anyway, what should you expect from this event? 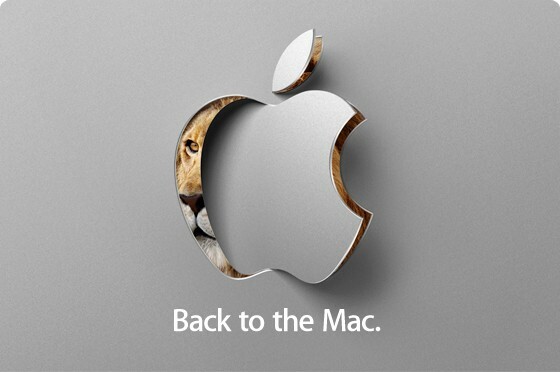 Well I presume Mac OS 10.7 Lion, hence the Lion in the background. No word on features but expect the usual speed increases and other stuff that is under the hood that we don't care about. In terms of hardware, I would put my money on a long over due update to the Macbook Air. Rumours say a 11.6" screen, more USB ports and a HD iSight camera. But, per usual nothing is certain till Jobs announces it on stage. And talking of the event, it starts at 10am PST on the 20th of October and hopefully it will be live streamed like the last Apple event.